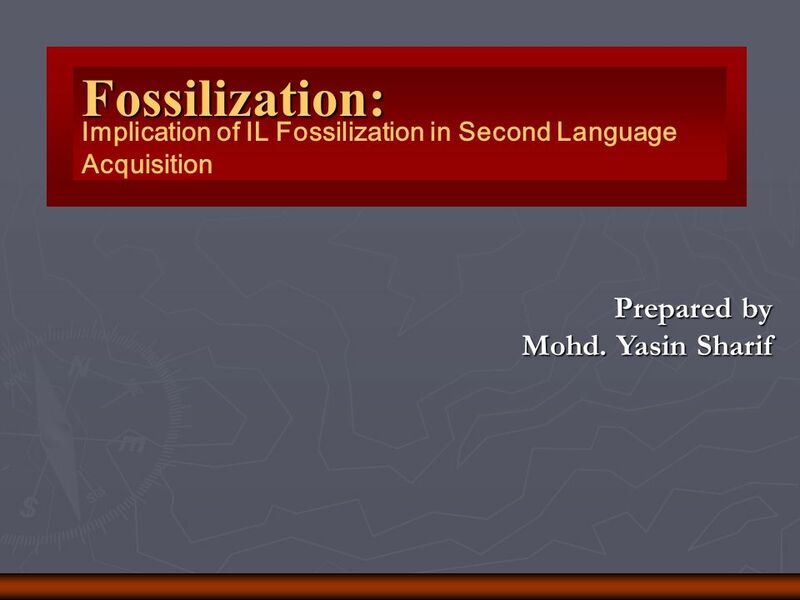 Fossilization: Implication of IL Fossilization in Second Language Acquisition Prepared by Mohd. Yasin Sharif. 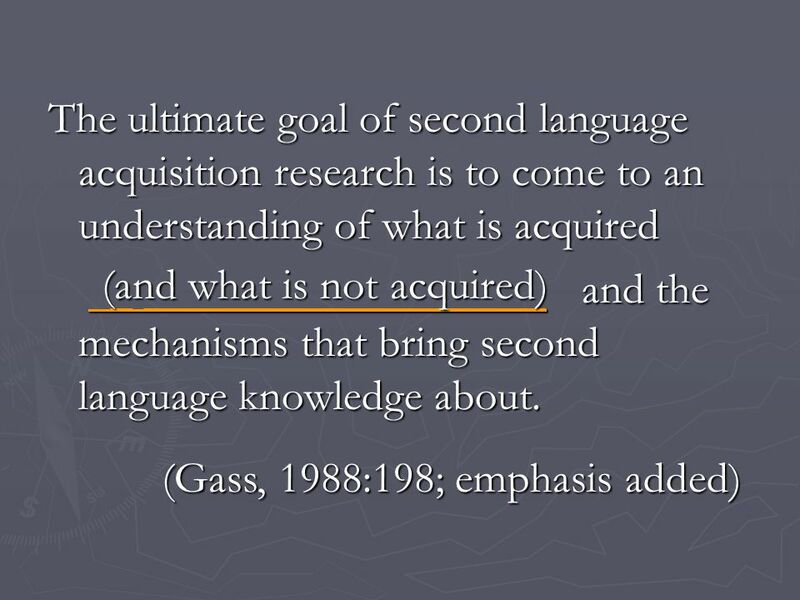 For most of us the acquisition of second language is less spectacular. 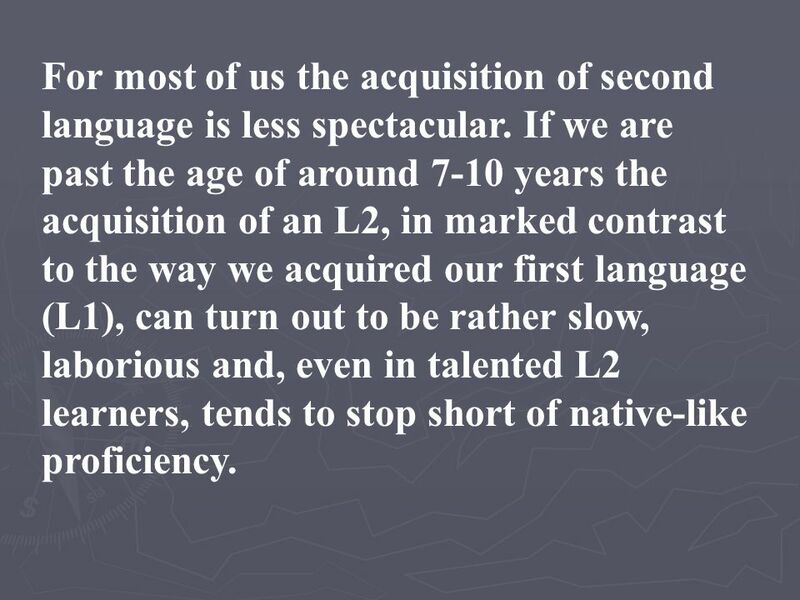 If we are past the age of around 7-10 years the acquisition of an L2, in marked contrast to the way we acquired our first language (L1), can turn out to be rather slow, laborious and, even in talented L2 learners, tends to stop short of native-like proficiency. 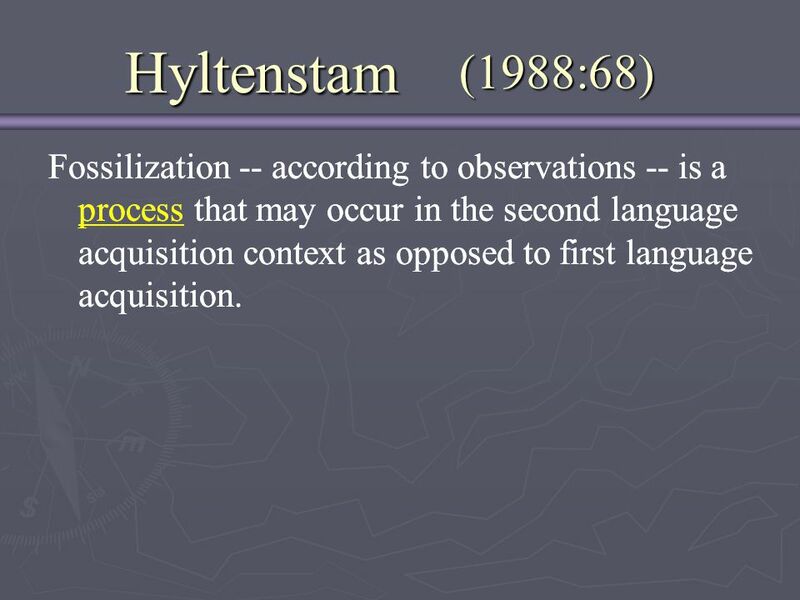 11 Hyltenstam (1988:68) Fossilization -- according to observations -- is a process that may occur in the second language acquisition context as opposed to first language acquisition. 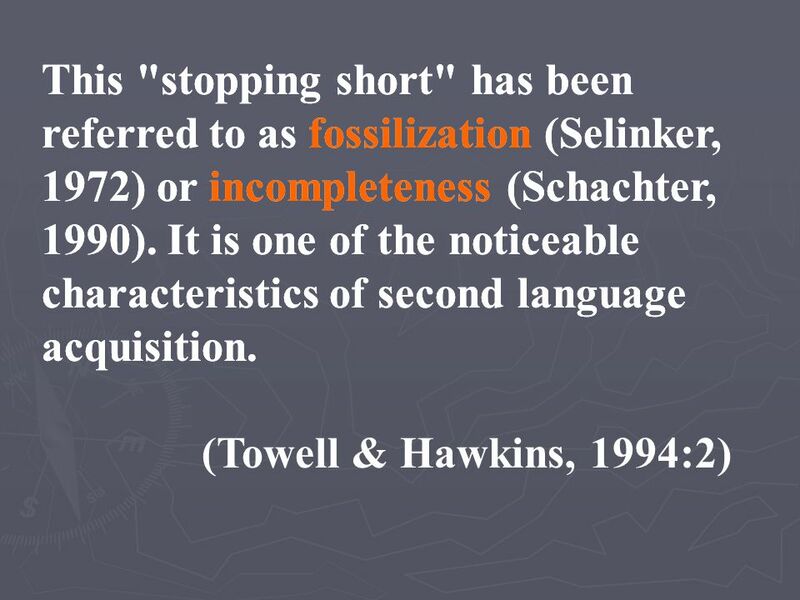 Fossilization -- according to observations -- is a process that may occur in the second language acquisition context as opposed to first language acquisition. 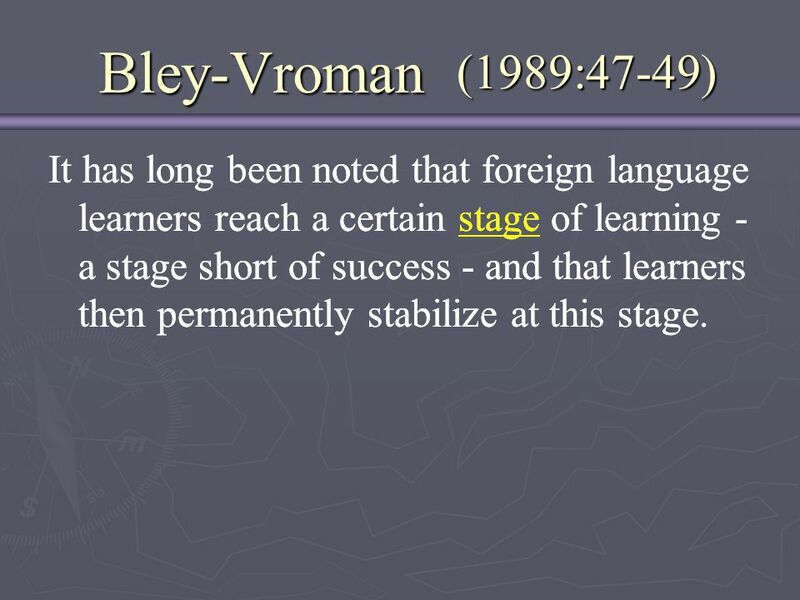 12 Bley-Vroman (1989:47-49) It has long been noted that foreign language learners reach a certain stage of learning - a stage short of success - and that learners then permanently stabilize at this stage. It has long been noted that foreign language learners reach a certain stage of learning - a stage short of success - and that learners then permanently stabilize at this stage. 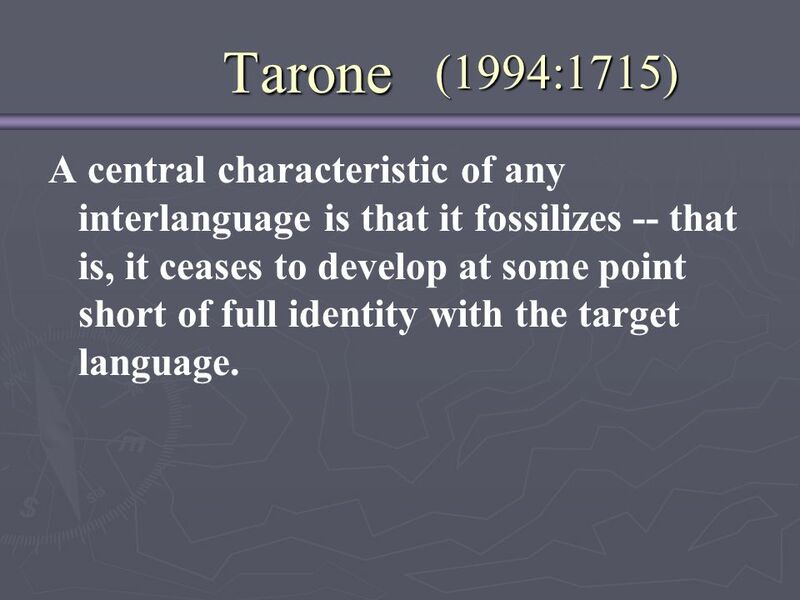 13 Tarone (1994:1715) A central characteristic of any interlanguage is that it fossilizes -- that is, it ceases to develop at some point short of full identity with the target language. 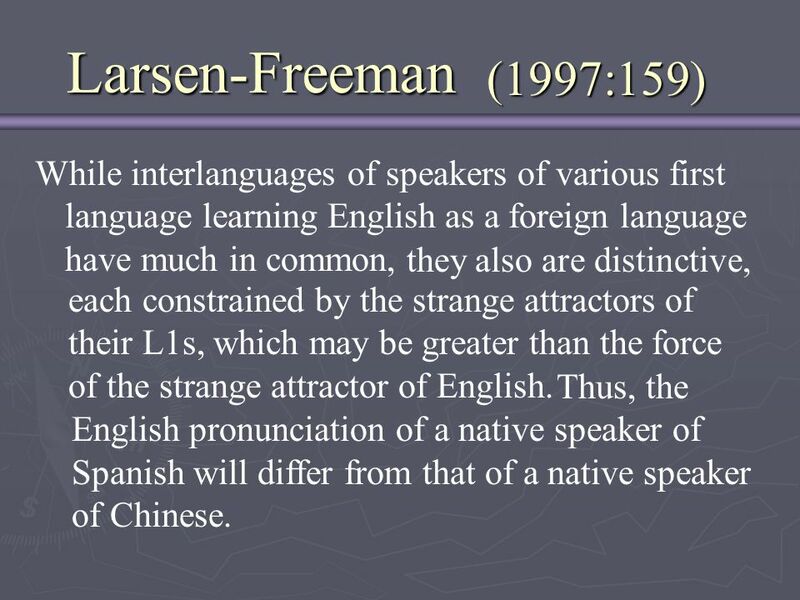 14 Larsen-Freeman (1997:159) While interlanguages of speakers of various first language learning English as a foreign language have much in common, they also are distinctive, each constrained by the strange attractors of their L1s, which may be greater than the force of the strange attractor of English. Thus, the English pronunciation of a native speaker of Spanish will differ from that of a native speaker of Chinese. 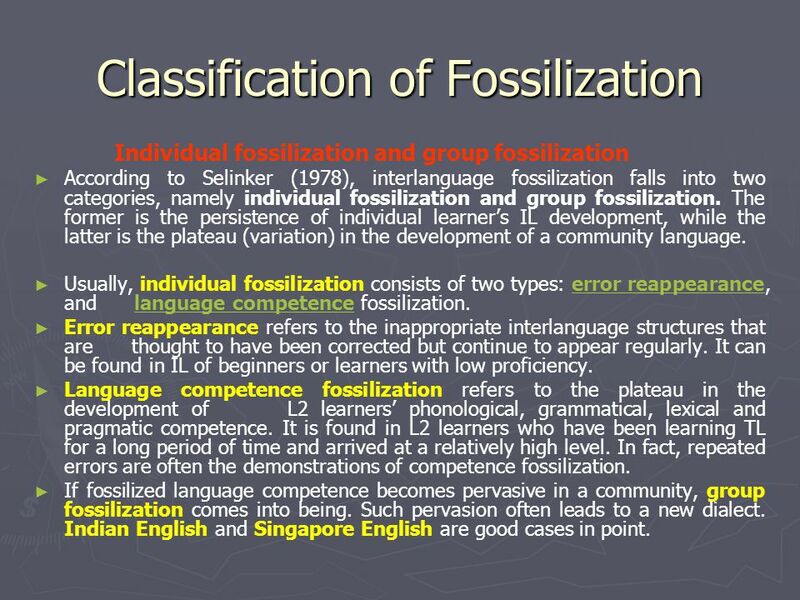 Individual fossilization and group fossilization According to Selinker (1978), interlanguage fossilization falls into two categories, namely individual fossilization and group fossilization. The former is the persistence of individual learner’s IL development, while the latter is the plateau (variation) in the development of a community language. Usually, individual fossilization consists of two types: error reappearance, and language competence fossilization. Error reappearance refers to the inappropriate interlanguage structures that are thought to have been corrected but continue to appear regularly. It can be found in IL of beginners or learners with low proficiency. 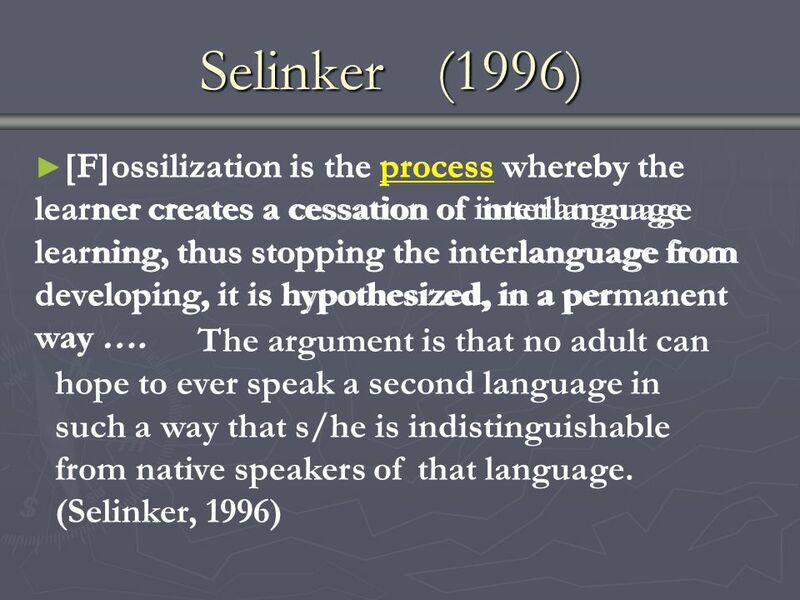 Language competence fossilization refers to the plateau in the development of L2 learners’ phonological, grammatical, lexical and pragmatic competence. 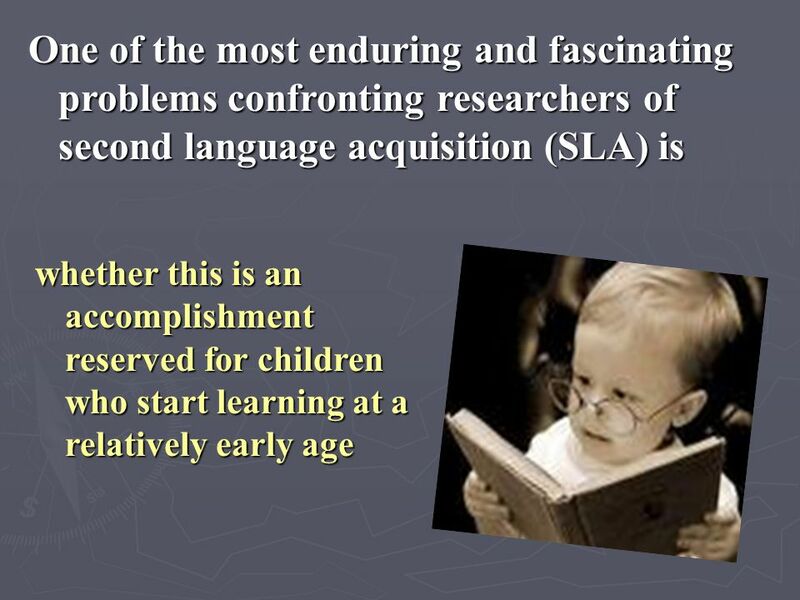 It is found in L2 learners who have been learning TL for a long period of time and arrived at a relatively high level. 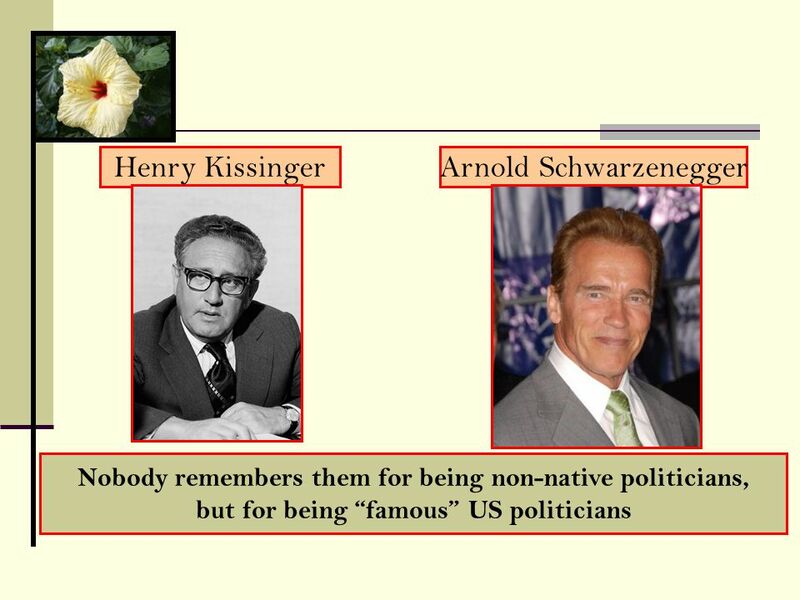 In fact, repeated errors are often the demonstrations of competence fossilization. If fossilized language competence becomes pervasive in a community, group fossilization comes into being. Such pervasion often leads to a new dialect. Indian English and Singapore English are good cases in point. Selinker also classified fossilization into temporary fossilization and permanent fossilization. 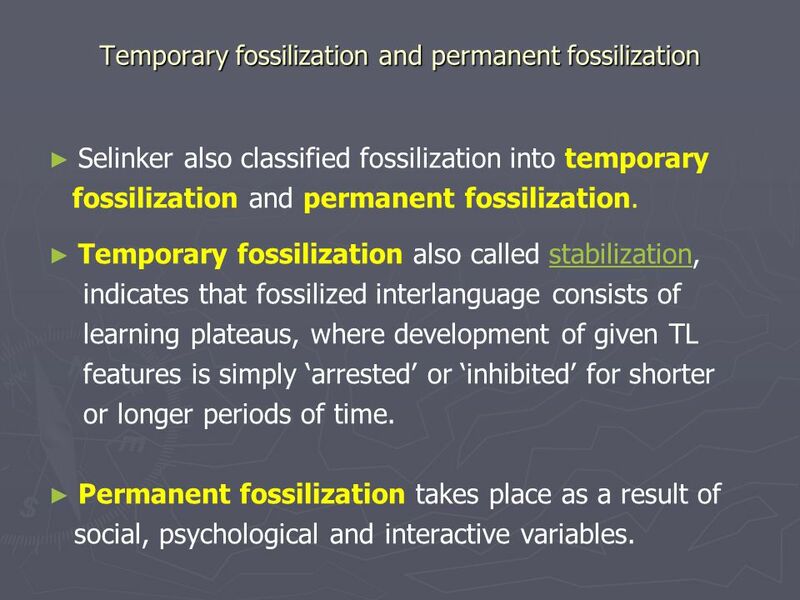 Temporary fossilization also called stabilization, indicates that fossilized interlanguage consists of learning plateaus, where development of given TL features is simply ‘arrested’ or ‘inhibited’ for shorter or longer periods of time. Permanent fossilization takes place as a result of social, psychological and interactive variables. The difference of phonology is possibly the greatest difference between languages. 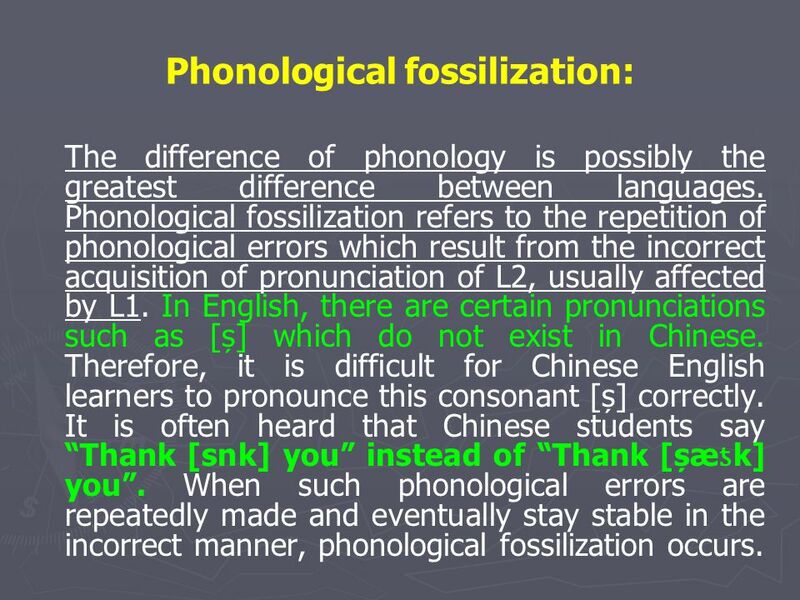 Phonological fossilization refers to the repetition of phonological errors which result from the incorrect acquisition of pronunciation of L2, usually affected by L1. In English, there are certain pronunciations such as [ș] which do not exist in Chinese. Therefore, it is difficult for Chinese English learners to pronounce this consonant [ș] correctly. It is often heard that Chinese students say “Thank [snk] you” instead of “Thank [șæƾk] you”. When such phonological errors are repeatedly made and eventually stay stable in the incorrect manner, phonological fossilization occurs. English has got a variety of changes in morphology and therefore has various grammatical morphemes. 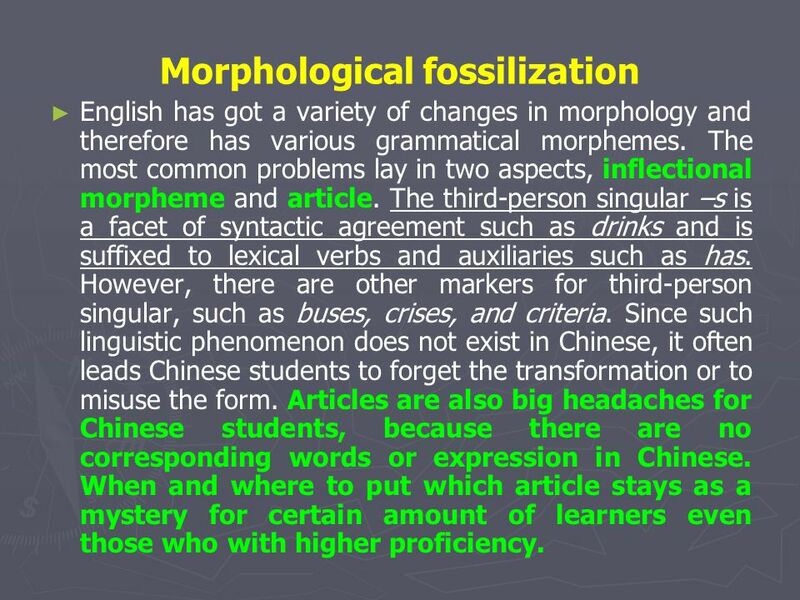 The most common problems lay in two aspects, inflectional morpheme and article. The third-person singular –s is a facet of syntactic agreement such as drinks and is suffixed to lexical verbs and auxiliaries such as has. 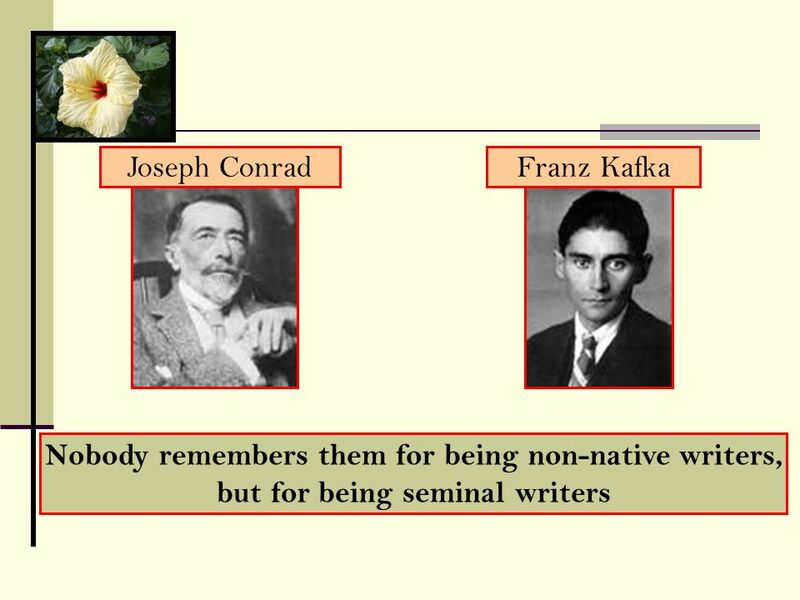 However, there are other markers for third-person singular, such as buses, crises, and criteria. Since such linguistic phenomenon does not exist in Chinese, it often leads Chinese students to forget the transformation or to misuse the form. Articles are also big headaches for Chinese students, because there are no corresponding words or expression in Chinese. 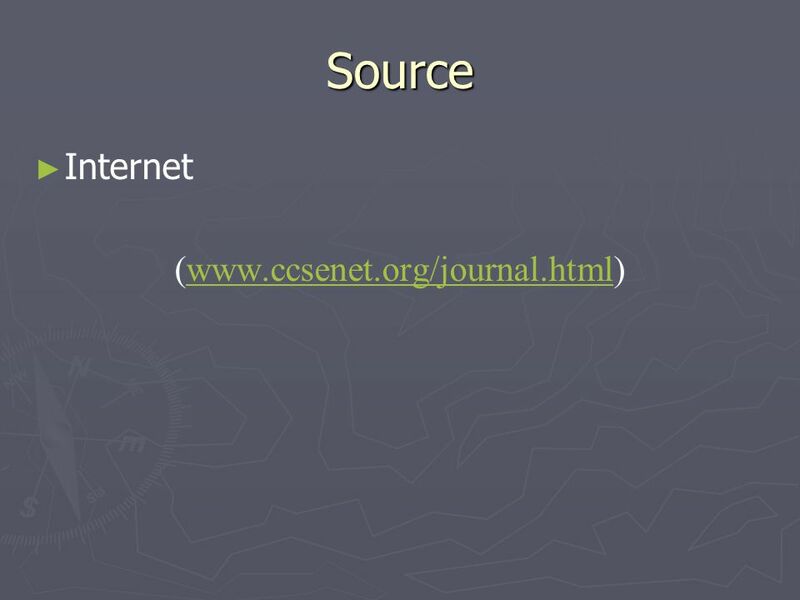 When and where to put which article stays as a mystery for certain amount of learners even those who with higher proficiency. Different languages have their own syntactic rules. 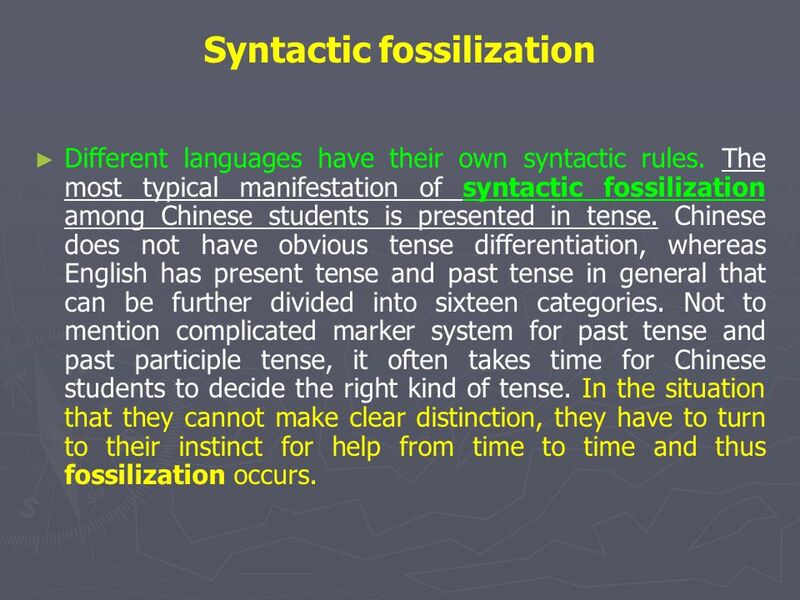 The most typical manifestation of syntactic fossilization among Chinese students is presented in tense. Chinese does not have obvious tense differentiation, whereas English has present tense and past tense in general that can be further divided into sixteen categories. Not to mention complicated marker system for past tense and past participle tense, it often takes time for Chinese students to decide the right kind of tense. In the situation that they cannot make clear distinction, they have to turn to their instinct for help from time to time and thus fossilization occurs. 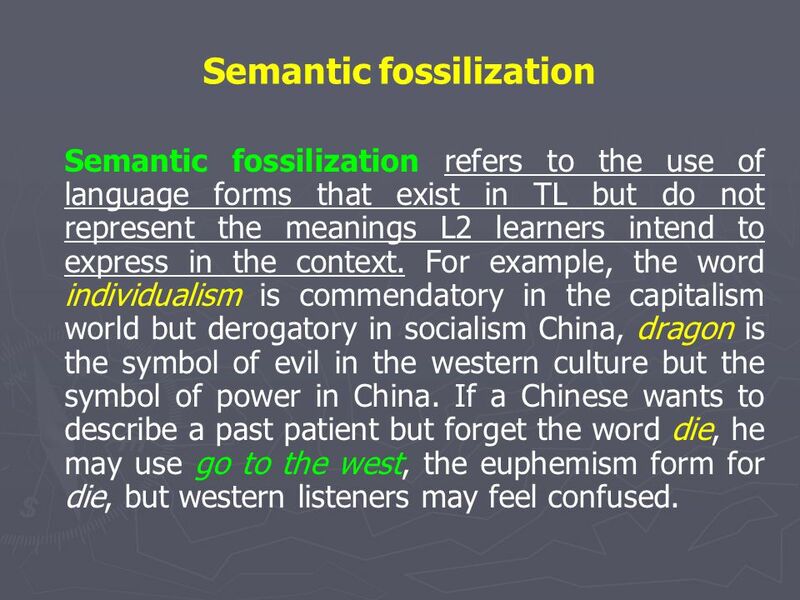 Semantic fossilization refers to the use of language forms that exist in TL but do not represent the meanings L2 learners intend to express in the context. For example, the word individualism is commendatory in the capitalism world but derogatory in socialism China, dragon is the symbol of evil in the western culture but the symbol of power in China. If a Chinese wants to describe a past patient but forget the word die, he may use go to the west, the euphemism form for die, but western listeners may feel confused. 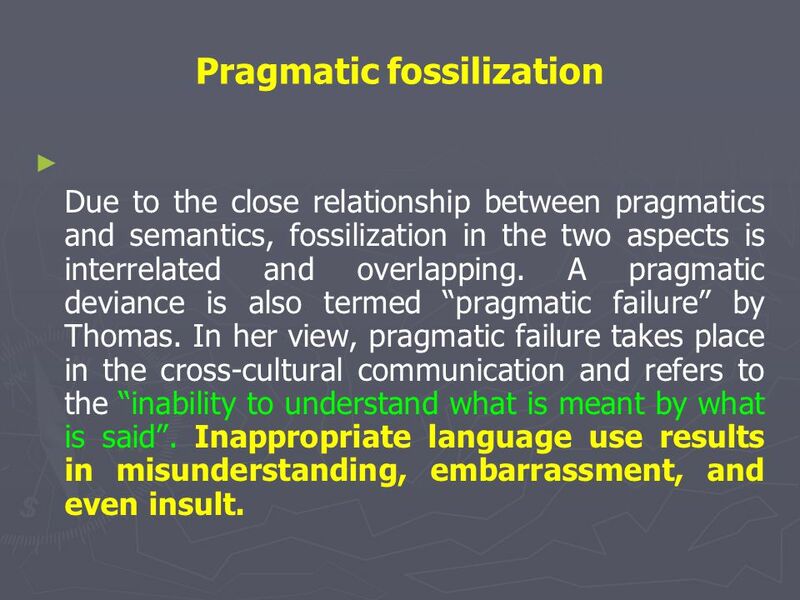 Due to the close relationship between pragmatics and semantics, fossilization in the two aspects is interrelated and overlapping. A pragmatic deviance is also termed “pragmatic failure” by Thomas. In her view, pragmatic failure takes place in the cross-cultural communication and refers to the “inability to understand what is meant by what is said”. Inappropriate language use results in misunderstanding, embarrassment, and even insult. Adoption of proper learning strategies First, successful learners appear to use strategies more frequently and in qualitatively different ways than learners who are less successful. 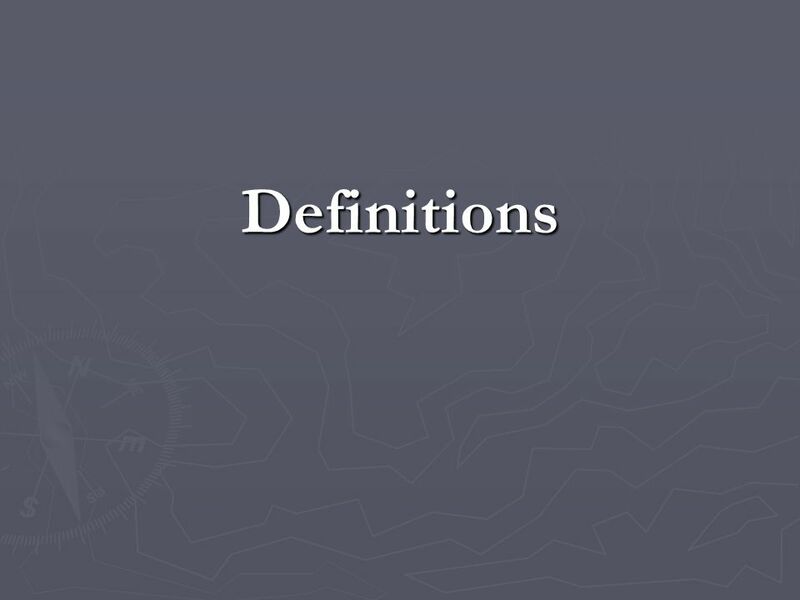 For example, memory strategies are used in vocabulary learning and dictionaries are used in vocabulary testing. 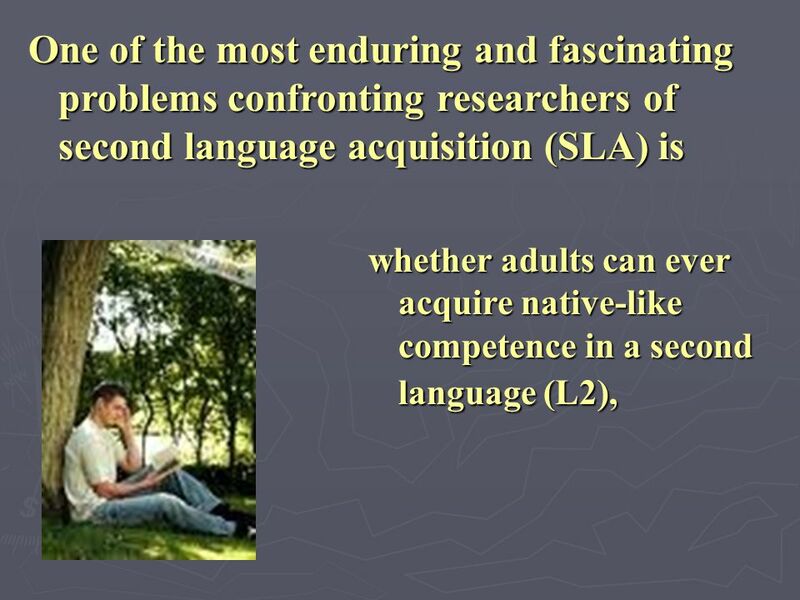 Second , successful language learning involves attention to both form and meaning. Good language learners appear able to switch the focus of their attention while they are performing a task. They tend to treat language as a system by making effective cross-lingual comparisons, analyzing the target langugae, and using reference books. Third, different kinds of learning strategies may contribute to different aspects of L2 proficiency. Thus, strategies that involve formal practice may contribute to the development of linguistic competence, while strategies involving functional practice aid the development of communicative competence. L2 learners need to employ strategies flexibly by selecting those strategies that are appropriate for performing a particular learning task. It is quite obvious in beginning learners of English as a second language because of their insufficient knowledge of the target language. Therefore, Krashen suggested that the learners are not expected to use the target language too early until the learners’ oral competence is facilitated with sufficient input and without relying on their native language to form systems. Otherwise, some inappropriate expressions can be fossilized. 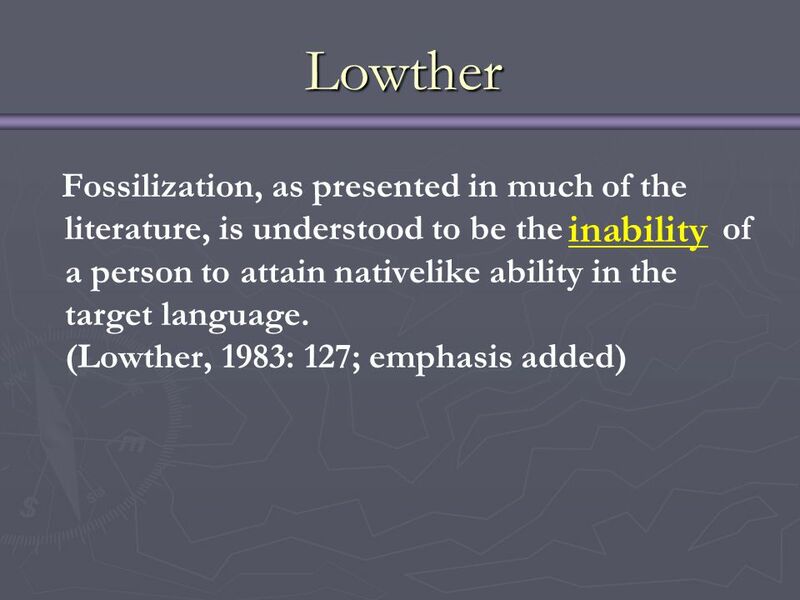 Corder pointed out that the native language of the learners offers various hypotheses concerning the target language, and only through abundant input of the target language can the negative transfer of the native language be lessened. 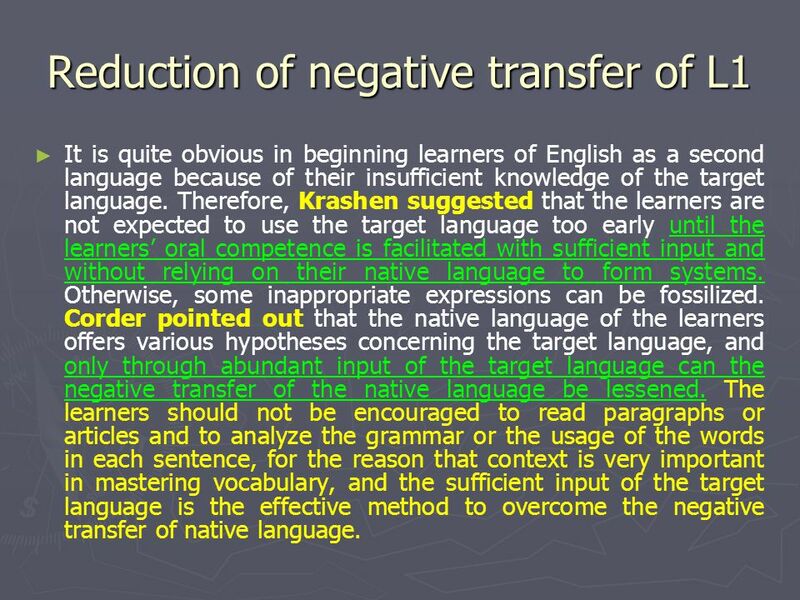 The learners should not be encouraged to read paragraphs or articles and to analyze the grammar or the usage of the words in each sentence, for the reason that context is very important in mastering vocabulary, and the sufficient input of the target language is the effective method to overcome the negative transfer of native language. 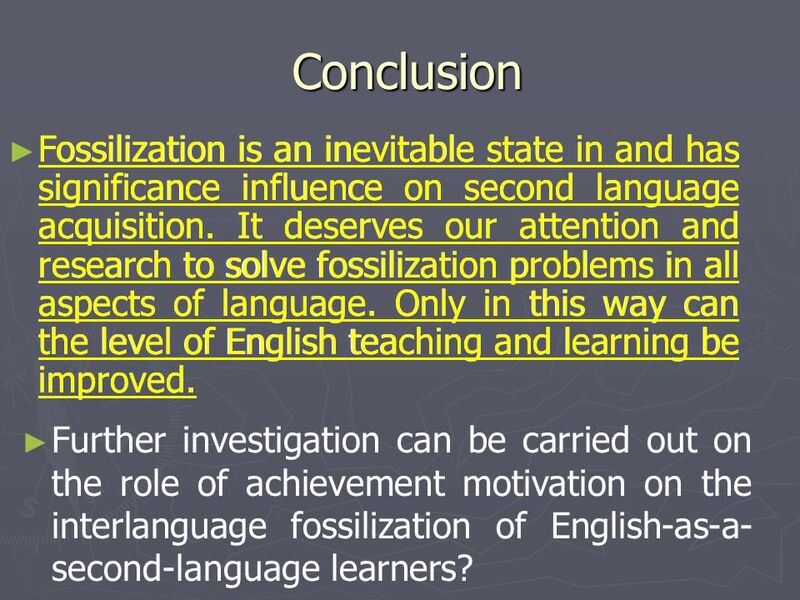 27 Conclusion Fossilization is an inevitable state in and has significance influence on second language acquisition. It deserves our attention and research to solve fossilization problems in all aspects of language. Only in this way can the level of English teaching and learning be improved. 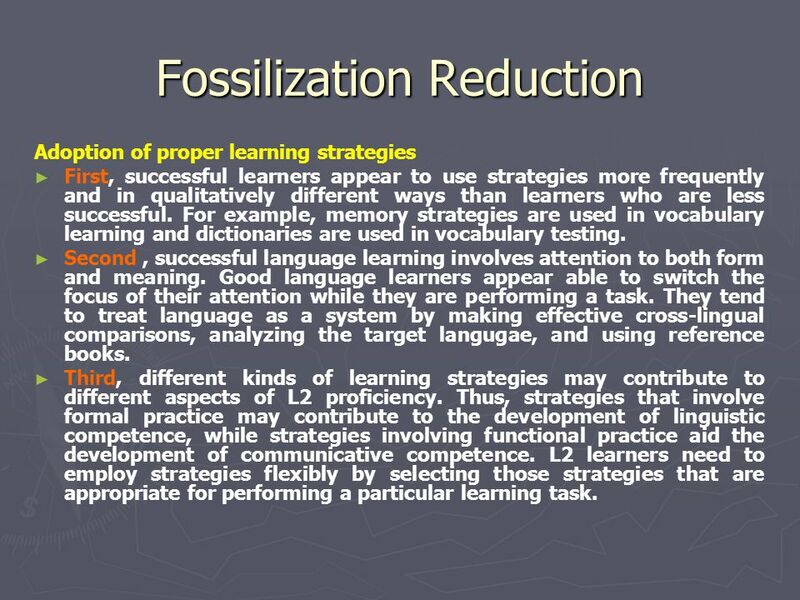 Fossilization is an inevitable state in and has significance influence on second language acquisition. It deserves our attention and research to solve fossilization problems in all aspects of language. Only in this way can the level of English teaching and learning be improved. 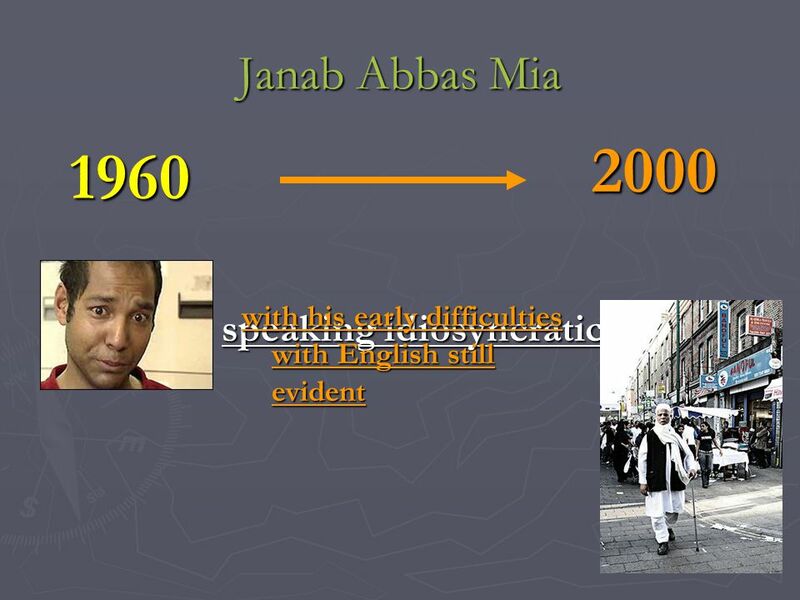 Further investigation can be carried out on the role of achievement motivation on the interlanguage fossilization of English-as-a- second-language learners? 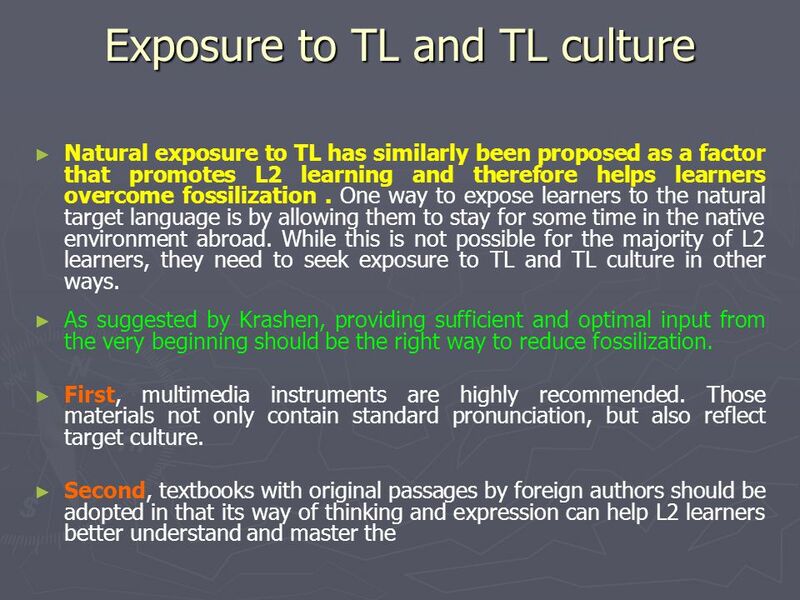 Download ppt "Fossilization: Implication of IL Fossilization in Second Language Acquisition Prepared by Mohd. Yasin Sharif." Corrective Feedback – pronunciation errors How effective it is in learning L2 oral communication Nguyễn Thị Tố Hạnh. Language Assessment What it measures and how Jill Kerper Mora, Ed.D. LEARNING TO WRITE IN TWO LANGUAGES Professor Anthony Liddicoat University of South Australia Bilingual Schools Network Camberwell PS, March 2013. Psycholinguistics 12 Language Acquisition. Three variables of language acquisition Environmental Cognitive Innate. 1. Introduction Which rules to describe Form and Function Type versus Token 2 Discourse Grammar Appreciation. 1st Language Acquisition How do humans acquire speech.